From Pembroke College, Oxford, founded 1624. 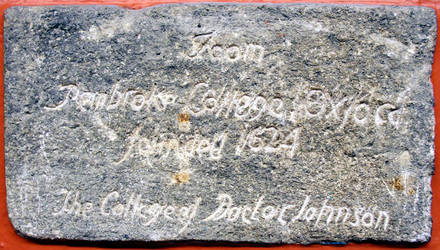 The College of Doctor Johnson. 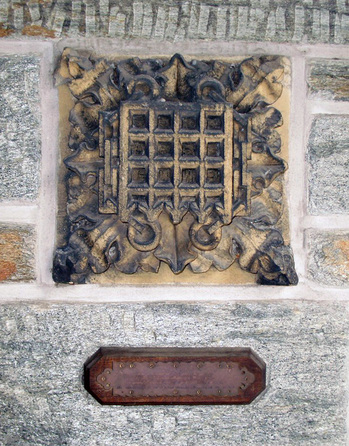 This stone from the Houses of Parliament was presented to Princeton University by His Britannic Majesty’s Government in grateful recognition of the hospitality shown by the University to the British Service Mission in the U.S. A.